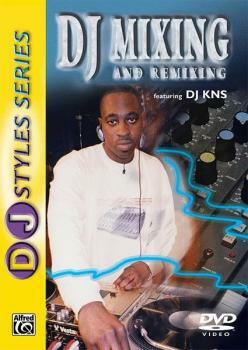 The DJ Styles Series covers three of the most important techniques and skills today's DJs need to learn to stay on top of the music. Featuring the industry's top working DJs -- DJ KNS and DJ Gerald, with a special appearance by UCADA -- these titles will make a great complement to all DJ and pro audio purchases. What is the difference between a mix and remix? Keep the crowd rocking all night long with your seamless mixes and throw in some of your remix creations, too. DJ KNS masterfully demonstrates beat matching, beat enhancement, adding new sounds and lyrics to beats, and some basic scratching on standard DJ turntables and CD players. A special session with the computer is especially valuable for today's DJs.